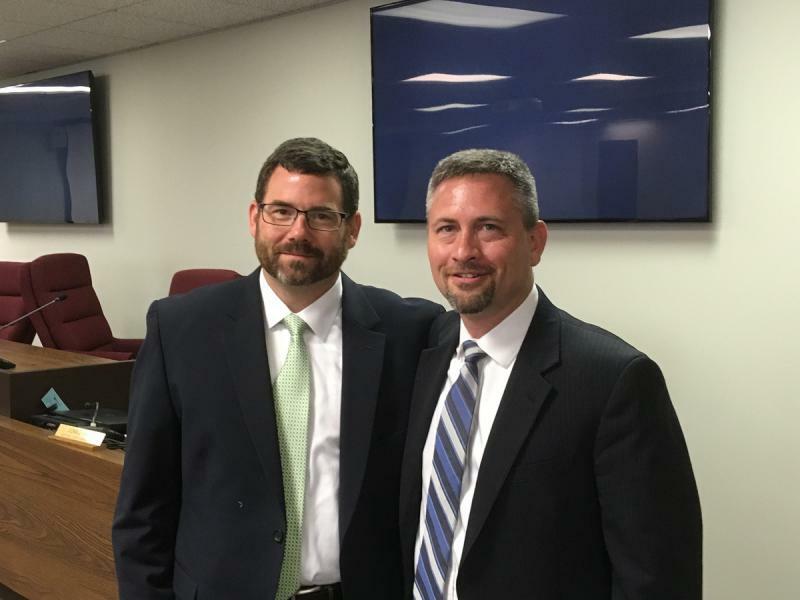 Don Knapp (left) has been tabbed to succeed Jason Chambers as McLean County State's Attorney. UPDATED 1 p.m. | The McLean County Board picked Don Knapp on Tuesday become the next state's attorney. County Board chairman John McIntyre nominated Knapp on Tuesday. The board approved his selection unanimously by voice vote. 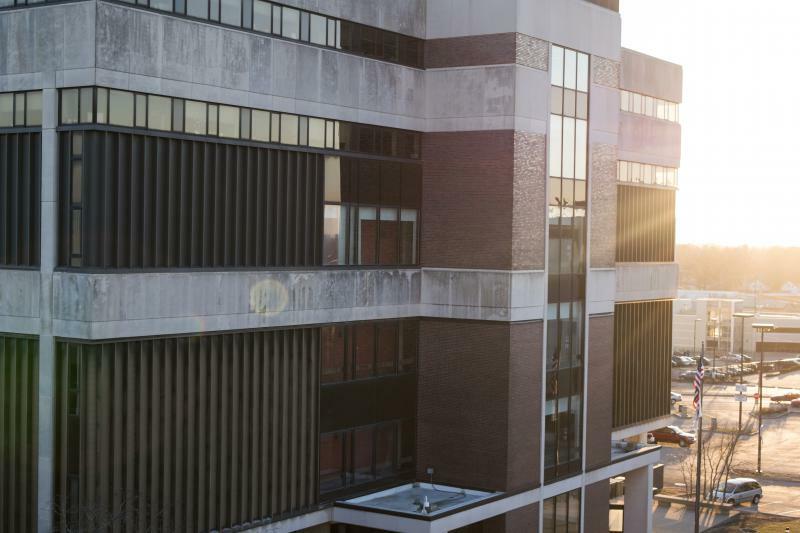 Knapp became the county’s assistant administrator last year after serving as the first assistant in the state’s attorney’s office civil division. 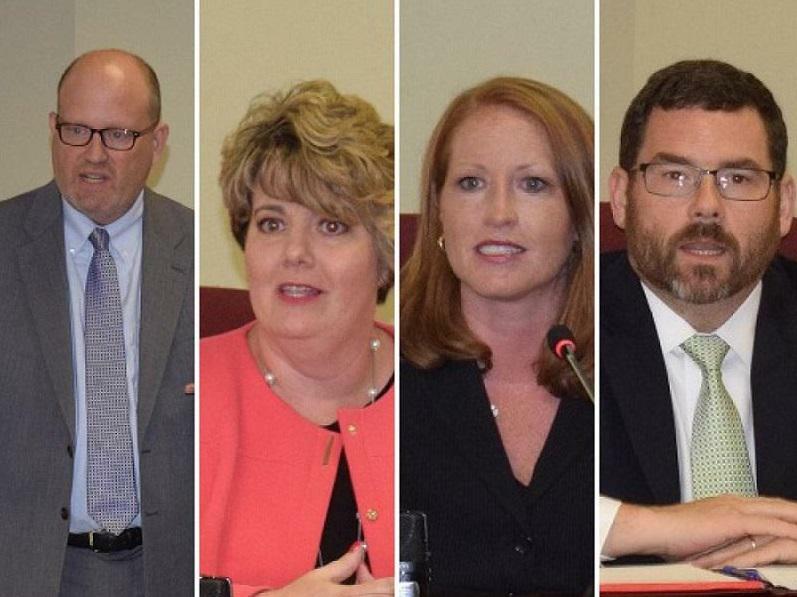 Knapp beat out four other applicants for the job: Jane Foster, Jessica Woods, Chris Gramm, and Mark Messman. “I know it is now my job to protect this county and to earn the trust of the people of this county,” Knapp told GLT’s Sound Ideas. Knapp will serve out the rest of Jason Chambers' term, through 2020. Chambers was recently appointed as a judge. 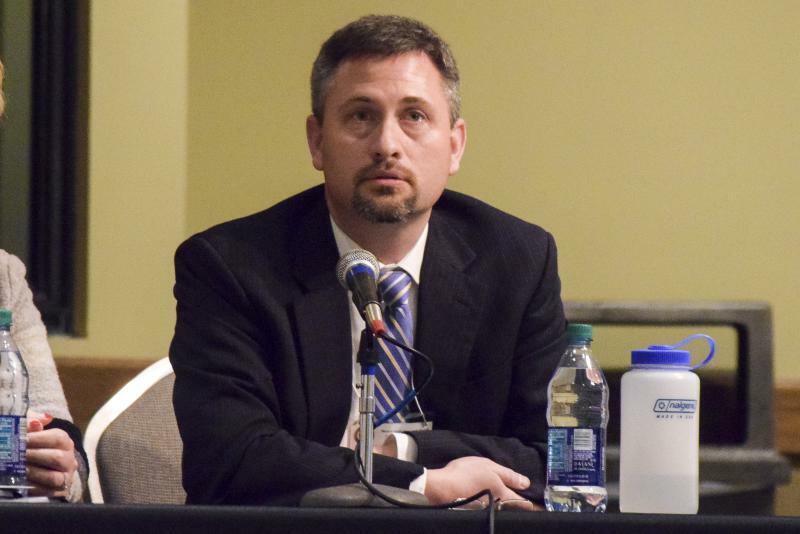 McIntyre said he was looking for a state’s attorney who could help maintain continuity at a time when both Chambers and the first assistant, Adam Ghrist, are leaving. McIntyre added he was also looking for a leader and someone who could handle the public relations aspects of the job. Knapp suggested he doesn’t envision substantive changes in the state’s attorney’s office. Four candidates seeking to become McLean County's top prosecutor made their closing arguments Tuesday before the County Board Executive Committee. Five people have filed applications to become McLean County's top prosecutor. They include four current or former assistant prosecutors in the office. McLean County State's Attorney Jason Chambers has been chosen to become a judge, the Illinois Supreme Court announced Monday. A couple potential moves could leave the McLean County state's attorney's office without its top two administrators.